Edison was born on February 11, 1847 and died on October 18, 1931. He spent most of his years in New York City, although he was born in Milan, Ohio and died at 84 in West Orange, New Jersey. He was married twice and had six children. 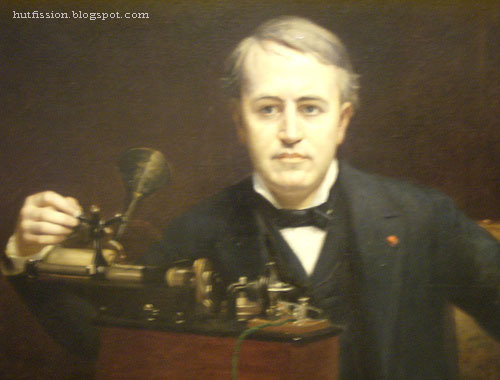 Edison, an inventor who was dubbed the "Wizard of Menlo Park", is most famous for his contributions to electric light. Though he did not come up with the concept on his own, he built on the contributions of others to create a lightbulb that was practical for home use.Throughout his life, however, Edison was awarded more than 1,000 patents, creating everything from the phonograph to an automatic vote recorder. Google is featuring a special Google logo, also known as Google Doodle, for the 164th birthday of Thomas Edison. The logo illustrates some of Edison’s most famous inventions including the electric light bulb, phonograph, and the motion picture camera. Edison holds over 1,000 U.S. patents and is the most well-known inventor of all time.